Allows you to manage and control archive files. The archive is usually a regular file, which name has a ".rar" suffix. RAR introduces an original compression algorithm. It allows higher compression ratios than other PC archiving tools, especially on executable files, object libraries, large text files, etc. 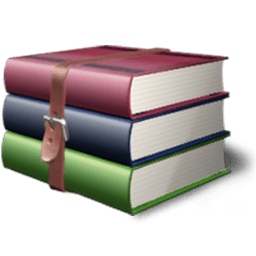 RAR offers a number of service functions, such as setting a password, adding archive and file comments. Even physically damaged archives may be repaired and an archive may be locked to prevent further changes. Authenticity information may be added for additional security and RAR will store information on the last update and name of the archive. under rare conditions x86 version working in multithreaded mode on SSE2 enabled CPU could erroneously issue checksum error message for first file in valid RAR5 archive with BLAKE2sp checksums. More efficient implementation of "Keep broken files" extraction option (-kb switch in command line mode). Now it allows to recover more data from file split between RAR volumes if next volume is missing. If the command line is not your thing - here's a GUI front-end for unrar.